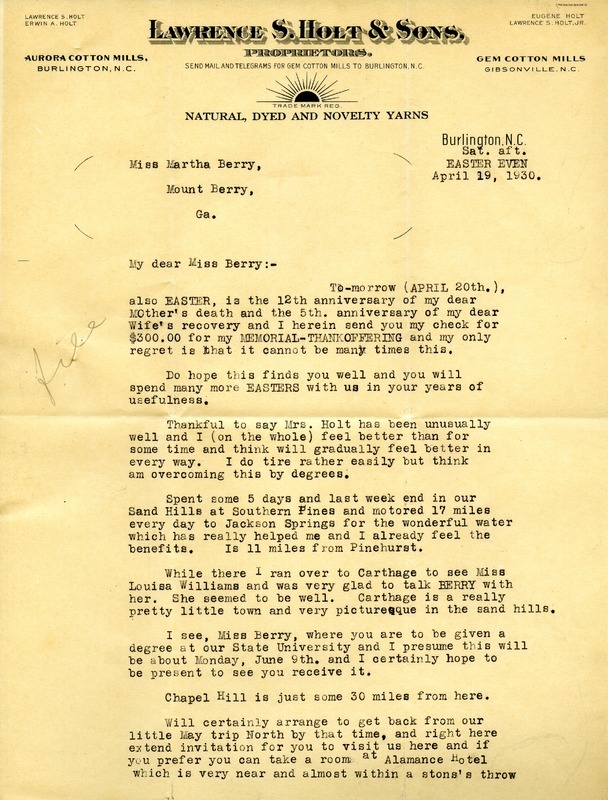 Mr. Erwin A. Holt writes Miss Berry sending a check of $300 and also his warm regards. 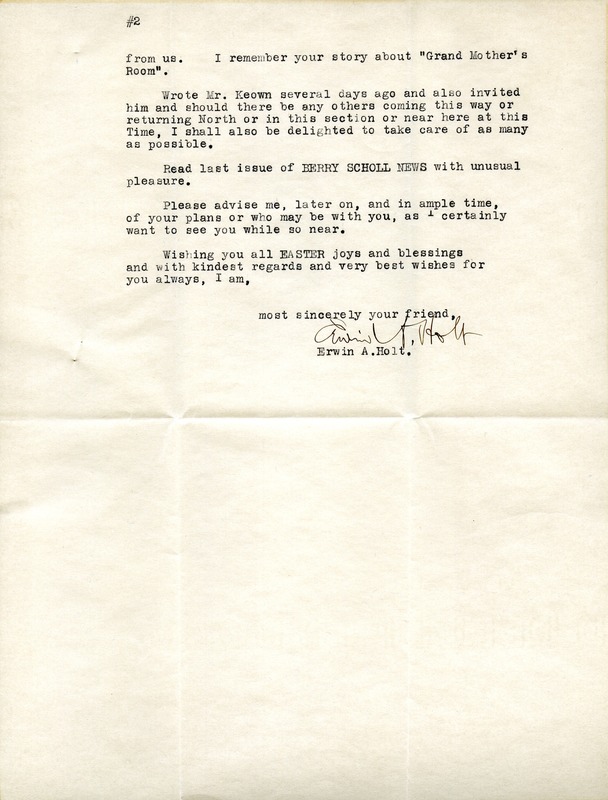 Mr. Erwin A. Holt, “Letter to Martha Berry from Erwin A. Holt.” Martha Berry Digital Archive. Eds. Schlitz, Stephanie A., Rachel Renaud, Lauren Grose, Meg Ratliff, et al. Mount Berry: Berry College, 2013. accessed April 23, 2019, https://mbda.berry.edu/items/show/13304.